Click on the album cover to download a higher resolution version to print. The following tracks are previously unreleased tunes, recorded both live and in the studio. These mp3 files are available for free download. 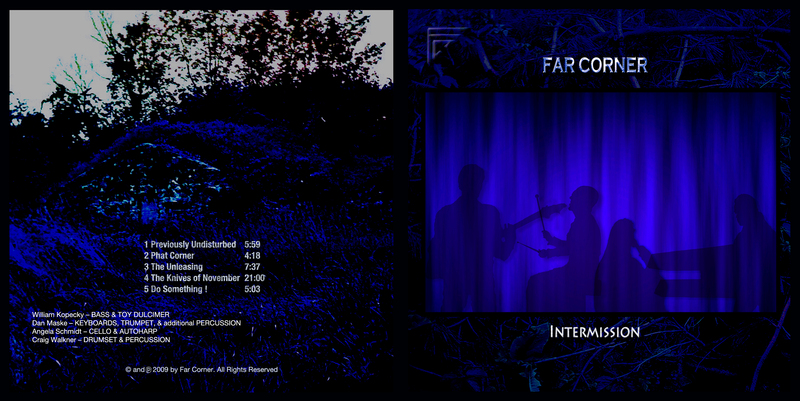 Intermission will be available as a CD in the near future. Those of you who prefer non-compressed audio tracks (non-mp3) can enjoy holding an actual hard-copy album in your hands. Watch for this in the coming months. This was a mostly improvised tune, performed live on WMSE radio on the station's Planet Prog radio show, hosted by Mark Krueger. We knew we wanted to do something funky, and so we selected a set of pitches from which to improvise and Craig gave us a count off in an appropriate funky tempo. The title comes from a typo on the part of the hotel in which we stayed when we performed in North Carolina for Progday. Upon arriving at the hotel, I (Dan) checked in under the name "Far Corner." The desk clerk could not find us in their registry, but said the have a room for "Fat Corrner." We took this as a sign that maybe we need to groove more in our music, and what grooves more than funk? So, we took it upon ourselves to improvise a tune in a funk style on every gig thereafter. Also, to be more hip, we employed the groovy word "Phat" instead of "Fat" in the title. In October, 2005, Far Corner performed at Orion Sound Studios in Baltimore, MD, as part of the Progressive Rock Showcase. This tune is part of a very long (20 minutes?) improvisation. We felt that the first five minutes or so provided for a nice tune in itself. Craig and Dan recorded this composition which is essentially a percussion ensemble work. 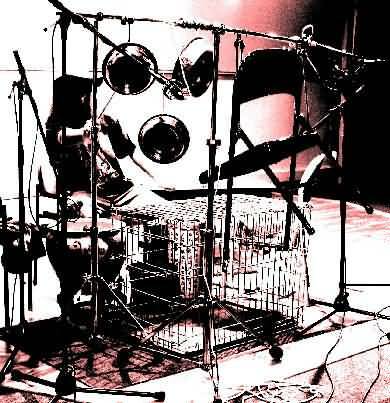 It began as Dan entered the studio with a large concert bass drum, two Chinese cymbals, and a set of bongos. The initial tracks recorded formed the foundation. Next, Craig brought in his drumset, and Dan brought a large collection of household items, including a dog crate, wood splitter, meal folding chair, several metallic dog bowls, a ceramic plant pot, and anything else he could find that might make a recordable noise. Dan and Craig recorded several more tracks on top of the foundation until they had something. The collection of junk Dan performed with has become known as the "Hillbilly Drumset" (see photo below). On WMSE Radio in Milwaukee, WI, Sunday nights offer a healthy dose of adventurous music where Alternating Currents, a program featuring avant garde/experimental music is followed by Mark Krueger's show, "Planet Prog." 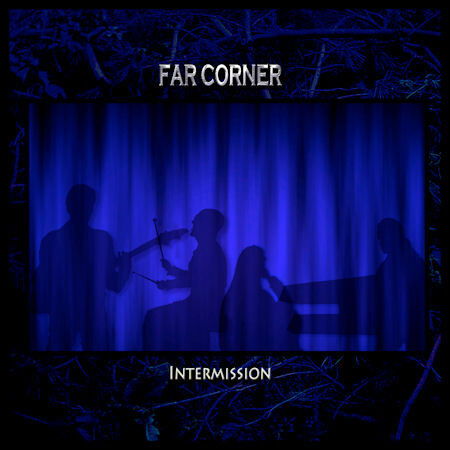 Since Far Corner dabbles a bit in free-form improvisation, the idea was brought forth for us to start performing near the end of Alternating Currents and play though the beginning of Planet Prog. We were fortunate to be allowed an almost open-ended time slot in which to perform, and decided to bring in lots of toys, and attempt a truly free-form improvisation, with no plan of duration, except for the fact that we knew it would be long. The Hillbilly Drumset made another appearance as well as Bill's toy dulcimer and Angies "Dumpster Autoharp." In addition, Dan performed on trumpet and made use of his dog's collars. This tune functioned as an encore showpiece when we performed at Orion Sound Studios in Baltimore, MD in 2005. 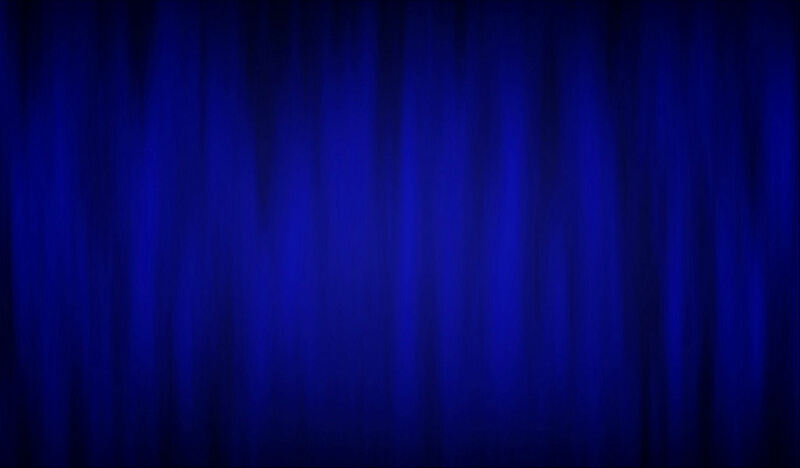 It is mostly improvised, loosely based on "Something Out There, Part II" from our debut album.